This week's selection is one of many songs that make reference to the work of Eric Blair, otherwise known by the pen name George Orwell, this one being possibly the most powerful and most relevant to his original message. "Animal Farm" is every bit as political and vile as "1984," and Dead Prez underscores this loud and clear. In "Animal in Man," all the characters names remain the same except Mister Jones, the farmer, who is transformed into Sammy, and we all know whose Uncle he is. Hallmark Entertainment did a live action version but we are not going there. The Kinks also have a song called "Animal Farm," a million miles from Orwell, so we won't go there today either; perhaps, later in a different installment, from a different point of view. Rita Cummings pointed out this excellent feature on Issa done at Haiku Chronicles. While listening to the audio, you can follow along the text with this .pdf. Anita Virgil does not avoid the tough questions about Issa, right from the get-go. In addition, she admits when she's been wrong; it doesn't get much better than that for me. Keep the poems coming for the Wednesday Haiku @ Issa's Untidy Hut feature. Details may be found here. This week's feature poems come from Lilliput Review, #111, July 2000 from two masters of the short poem. Enjoy. The sun shining through the parched rice grass. 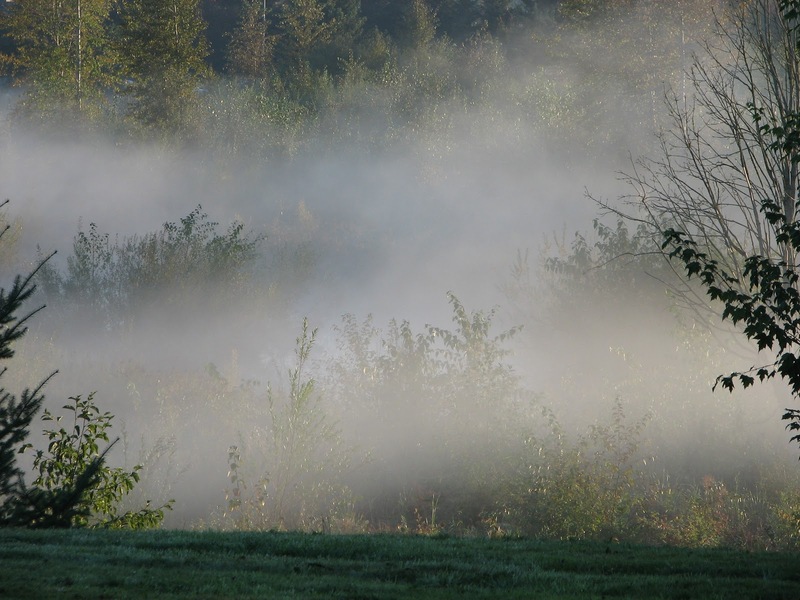 the drops of morning mist. A Note: I began this post, thinking I would cover all I needed to and be done, but as I progressed it just got longer and longer. As a result, I thought to spare you all the simultaneous misery and irony of a lengthy piece on such a brief book, so I've decided to split it in (at least) two. Part II will, hopefully, be next week and if it goes on much longer, scream mercy and click away. Some time back, in the comments section to a post, we got to discussing the translator Peter Beilenson and the fine work he did for a number of publishers, in particular the Peter Pauper Press, which was almost singlehandedly responsible for introducing, at very modest prices, an entire generation of the uninitiated to haiku. During that discussion, I promised I would take a look at the volume A Little Treasury of Haiku, and so that time has arrived. Since it was a volume I didn't have and I'd seen in at the library and was impressed, I purchased a very nicely rebound, if somewhat foxed at the edges, used copy for a reasonable price and dug in. My first pass through I marked, as is my custom, poems for a 2nd and 3rd review, in this case 75 of the over 440 translated. The volume consists of a generous selection of poems by the four cornerstones of classic haiku, Issa, Bashō, Shiki, and Buson, as well as a nice cross-section of haiku by other classic haiku poets. Returning to the branch? . . . oh, no! I can never resist Moritake's little haiku, no matter who is the translator. This is a fine version of a wonderful little ku. Is newly thatched I see . . . I like the colloquial flavor of this rendition, capturing the playful poet's voice as I've often imagined it. He thrusts us right in the moment with his exclamatory "Hi!," the reader experiencing the surprise along with the speaker at the same time. 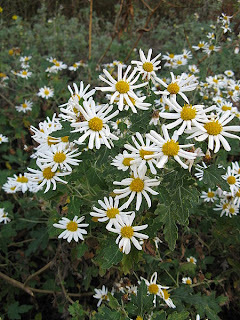 Of course, I had to include it since this is where the blog gets its name - a nice coincidence certainly that the poem is very good. Twilight whippoorwill . . . The drawback of reading haiku in translation is obvious; we've often been told by classical scholars that we can never truly understand Japanese haiku. We are too removed from the culture, from the subtly, from the language, to even come close to understanding. However, the upside, it seems to me, is also obvious; if a great poet like Bashō wrote 2,000 some poems (and Issa wrote over 20,000) and 5 decent translators have renditions readily obtainable in English, there are 10,000 Bashō poems to read. I'll often lay a number of different versions side by side and, as the blind man and the elephant, try to get a picture as I move round and round, catching an angle here and a glimpse there. As long as I avoid provocation and those big feet, I start to get a bit of an idea, sight or no. Which is my characteristically long way round saying I feel I've never read this whippoorwill poem before though I know I must have, at least 3 or 4 times, and I am extremely moved by it. At this very moment (are you with me) it is my favorite Bashō poem. It is totally immersed in the moment and ennui (or wabi sabi or whatever) and beauty and sadness, and did I say beauty, and it urges that heartbreaking whippoorwill sound on so as to continue its significant emotional impact, feeling lingering in the pure essence of its music. Phah! Words can't describe it - at least not mine. But Mr. Beilenson has got it and Suzuki and the rest can, well, pound salt. Whistle on, sweet deepener of dark loneliness! When I snapped the peony . . .
How even the memory of rage may be precious once a loved one is gone, especially when that loved one was right. In your brief sweet waters . . .
Another Bashō poem I don't remember. This rendition must delve in from a direction I can't recall - the word "dark" reappears here, as in the previous Bashō poem, and this poem, too, turns on that ominous word. Of course, the darkness is also the dirt which the speaker seeks to remove with the fleeting dew, but the dual meaning is undeniable. Sprouting from the fertile soil . . . The essential oneness of all things is expertly captured by one of the finest woman haikuists of all-time. The reader wonders: is this not the single vine that the world itself sprung from? Come watch these butterflies . . . Whether a lonely widow or widower, or an ex-lover, or a military wife, or someone thinking of a friend far away, we have all come to experience this type of expansive loneliness. What is captured here is the speaker's emotional state of mind, of which s/he was totally unaware until this very captured moment. Himself he will not lift his hat . . . The humor here is to the point: we are all equal in the "eyes" of an inanimate object. Classicists may not like the poet's approach (or the translation) in this ku, but us peasants are all waving our own hats in the breeze. I'm not very sure of the use of trusting here, but this is one of my favorite Issa poems and it speaks to the big picture of life - not just death, but all of it, in a simple 3 line piece. And, so, this seems as lovely a place to pause until next week as is likely to come down the pike anytime soon. Till next week and part II for Mr. Beilenson. Just a quick note: Melissa Allen, over at the always excellent "Across the Haikuverse," features a couple of poems from the current Lillie issues, as well as giving a nice plug to the new "Wednesday Haiku" feature here at the Hut. This week's featured poem comes from Lilliput Review, #134 by British poet David Lindley. Enjoy. from T. S. Eliot's "The Love Song of J. Alfred Prufrock" slip right by me. Those lines serve as a recurring refrain in the poem, underscoring the poem's title by creating a chorus effect. Once this quote became apparent, the title "Dover Beach" seemed to truly resonate, hence the tune's inclusion on the strength of two strong lit allusions. Matthew Arnold's poem, "Dover Beach," rings the death knell of the pre-modern era, or the coming of the modern one, if you prefer. It reminds me most of the novels of Thomas Hardy and their spirit in a world where people struggle for meaning, without faith or belief. It is, simply stated, one of the greatest poems written, thematically, in the English language. Their seems to be some of its lyrical ennui, too, in the song; the narrator would run away to a "perfect world" if there was one. It seems that there isn't, in either poem nor song. Though the Bangles had plenty of hits with songs penned by others, this one was written by Susanna Hoffs and Vicki Peterson and is a example of fine litrock and an overall solid song. Oh, and talk of Michelangelo. From 1986 and 1979, respectively: what the hell were we thinking? I'm happy to report that the new weekly feature, "Wednesday Haiku @ Issa's Untidy Hut," will be up and running with its first installment this week. For details on how to send a single haiku/shortie for consideration, check this past Wednesday's post. This week's feature poem comes from Lilliput Review, #113 and is another of Albert Huffstickler's short stunners. I miss him so much. One must start from the beginning and simply say: the anthology Fifty-Seven Damn Good Haiku (by a Bunch of Our Friends) contains no poems about parsnips. It's important to be clear from the first. That being said Fifty-Seven, edited by Michael Dylan Welch and Alan Summers, does contain many a damn fine haiku. Published by Press Here, out of Sammamish, Washington, there are many strong voices here and lots to ponder. Fifty-Seven Damn Good Haiku contains 53 more modern haiku to roll about in the palm of the mind, looking for questions, wondering about answers, and contemplating that ultimate subject of subjects. 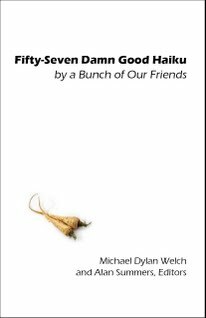 Fifty-Seven Damn Good Haiku (by a Bunch of Our Friends) may be purchased here for $7.00, £6.00, or 7.00 €. This week's featured poem comes from Lilliput Review #133, an issue which has popped up in blog posts here and here. Once the haiku is accepted or rejected, you may send another. Otherwise, only one submission of one haiku per poet at a time. I believe I said one, is that right? Start date - as soon as I have 4 haiku, I'll begin the Wednesday feature. I will not be supplying a definition of what a haiku is. You are all big girls and boys. I will simply say it is not what passes for haiku in the popular media; this site's occasional patron and consummate poet/artist /curmudgeon, Ed Baker, likes to call them shorties, and I defer to that, since he doesn't know so much more than I don't know or am likely to ever not know. If you'd like a feel for what type of poems I'm looking for, take a gander at the Lilliput Review back issue archive or at many recent blog posts here at the Hut. 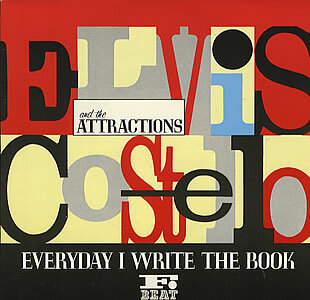 Welcome Elvis Costello, that most literate rockers of the punk movement, to his first appearance on the Sunday Service with "Everyday I Write the Book," a song I initially hated but, via an insistent hook and a couple of intervening decades, have grown to love. Certainly, it's place on the Litrock list is well-deserved. This week Norb Blei, over at Bashō's Road, spotlighted the 2nd Annual Bashō Haiku Challenge Chapbook, printing 5 haiku from the collection, plus one found haiku by the mercurial Monsieur K.
As most of you know, I spend more time giving away free poetry than shilling what I have for sale, but if you are interested in this chapbook, which contains 53 haiku, by the likes of Ed Baker, Roberta Beary, Ruth Holzer, Ed Markowski, Gary Hotham, John Stevenson, Patrick Sweeney and more, at the incredibly low price of $3.00 (postpaid), just click on the Paypal button at the top of the page and I'll wend it your way. Alternately, a check via snail mail also works just fine. 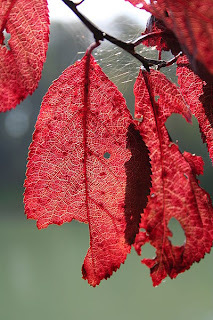 Check out Red Dragonfly, Melissa Allen's fine haiku blog - celebrating her 400th post, she invited her readers to provide the content in the form of their own haiku. 34 interesting pages of Sribd work, with one humble two liner by yours truly, and lots of other work very much worth reading. This week, two poems are featured from Lilliput Review #115. They both dazzle in a way you won't need your reading glasses for. Enjoy. Learning about oneself through reading may certainly be a way, a Way to transcendence that is. Obviously, this is a function of how we read as much as what we read. I want to suggest that the act of reading itself can be every bit as important and every bit as creative as the acts of writing, painting, and playing. What I'm dancing around here is I've continued to learn a lot about myself through the conversation of reading, the conversation between the writer and the reader. Admittedly, at first one might think it a bit one sided. Still, in many ways, all discussions we have with others are really a way to talk to ourselves. The conversation we have with a writer/poet via their work can very much serve this function. You will never change their opinion, but you may come to a deeper understanding of it and your own. 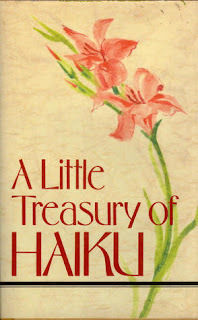 Focusing particularly on haiku challenges the reader to simultaneously view the vastness of the outer world and the equal vastness of the inner one. Modern Haiku is one of the finest haiku journals available today, whether we are talking about traditional or experimental (or a combo thereof) outlets for haiku. Whenever I settle in to read a new issue, I find it an never-ending source of wisdom, humor, and inspiration. This week I thought I'd take a look at a recent issue. In the Autumn 2010 issue, comprehensively edited by Charles Trumbull, I noted 70 (!) haiku, of an astounding 400 in this issue, to return to for review. In my experience, that percentage of good haiku is almost unprecedented, in either book, journal or online resource form. This is a beautiful poem in its ambiguity; one could make a case for it being about a living father walking away, or about a dead father being buried beneath the old tree, leaving in an only slightly more figurative sense. A third possibility, predicated on the word heartsick, is that the father is being observed visiting a lost love one and is heartsick with grief. In the case of the dead father, I get the very moving feeling of a continual present in the verb leaving; though he is gone permanently in death, he is also always leaving, at least in an organic way, and most definitely in emotional and psychological ways. If one is dead and buried beneath the tree, one will become part of the "old" tree itself and there is something heart-full about that reading. The essential question, no matter what the reading, is what is the observer/narrator seeing and feeling. Ever since World War I, the poppy has become a memorial for those who died in service. This poem is subtle in its possible meanings. The word forever acts as a hinged door that swings both ways: the poppy field is forever, men at war are forever. There is an irony in the essential truth, underscored in their linking, impling that men and poppies are forever what they are. Many traditional haiku compare incongruous elements, usually the very large and the very small (seeing the entire Milky Way through a torn shade, for instance). Here Senegal extends the notion to time itself, the dew evaporating instantly, the stone over decades or centuries or longer. All things pass, even the rock, even the mountain, even the earth. A brilliant poem by Senegal, this one beautiful to the point of tears. Nothing is left out of this poem, everything that is needed is included: all of life and the whole universe. For the persona here, the logical mind won't do. Though s/he may use the logical mind to measure, catalog, and analyze the red leaves, for the true value none of this is necessary. The poem turns on that value and the red leaves are in every sense as the rain is in Senegal's previous poem. On one level, this seems to me to be a very complex haiku, indeed. In some traditional haiku, there is a 2 line image/event and a 1 line resolution or comment; in this haiku, it is the image which brings the wonderful complexity. The reader sees that there are perhaps two choices that emanate from one source, there are two banks touched. Are the two banks really different? The waves of the swan's wake, emanating as they do from one source, do they not suggest that either or perhaps both choices are correct? The image is so beautiful I would argue for it to be implying the harmony of all things, the harmony of opposites: the non-duality of life itself. But I'll wager I could be very wrong. Sometimes reading good haiku is like viewing a Jackson Pollack; I'm sure of what I "see" in it, but are you sure of what I see in it? This poem reminds me, in its precise, beautiful image, of Bashō's haiku of the woman wrapping dumplings, brushing back a stray hair with a finger. Such gorgeous music here, one can almost hear it. What has the speaker forgotten or left undone that the consequences might be at once dire and brilliant? You tell me. As alluded to above, many fine haiku deal with apparent incongruities, large contrasts that at first seem irreconcilable. The poet here shows us how it's done. Caught between the diminutive space between two human eyes is the distance between two far off stars, two worlds. Not only that, be the viewer's eyes are dim, emphasizing strongly their diminutive nature (via a neat pun) and the extra difficulty which is overcome all the same. All is one, all is one. This is another fine and full poem. It is at once literal and figurative, practical in its observation and philosophical in its resonance. 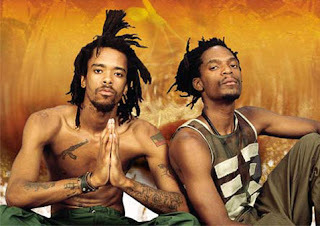 Like Martone's haiku, their is a sense of unity and timelessness, a poem that transcends any age or interpretation. When it comes to haiku, I am certainly no expert. Part of the practice of haiku is reading long and deep, both the classic poets and contemporaries. It is a way of talking to ourselves, talking to each other, talking to the world. Besides simply stepping outdoors (or looking very carefully within), I can think of few better ways of experiencing haiku than a subscription to Modern Haiku. This week's feature poem comes from Lilliput Review, #132, July 2003. Enjoy. The songs that comprise the Issa's Sunday Service list need to contain a direct reference to some element which most people would agree is literary in nature. Some bands, whose subject matter is literary in tone or style, don't necessarily base their work on a literary precursor or make direct allusion to something literary and so don't make the list. On occasion decidedly un-artsy bands make the list because of a specific allusion to some well-known literary fact. Today's entry is at once literate and un-artsy. Among recent bands, Arctic Monkeys definitely have a way with words and, if not strictly literary in tone, they are most definitely sharp. They manage to be smart and pop-ish at the same time, no mean feat. Today's song,"A Certain Romance," contains a simple name drop: Sherlock Holmes, one my favorite literary characters. So the song's in. Enjoy. And, oh, yeah, as a live band they bring it. Watch. This week two poems come from Lilliput Review, #131 (an issue featured twice previously), which shared the same page since they riffed on a particular image or, more precisely, a particular portion of the visible spectrum. Ah-hem. Issa, too, has something to say about it. Enjoy. One of the foremost composers of love songs of his generation passed today: Nick Cave. Of course, he is also one the foremost composers of songs about hate, about perversion, about dissipation etc. There are a number of songs by Nick Cave which have turned up on love missives, in the form of mixed cds, that I have made for my life mate over the years. "Breathless" hasn't but, no doubt, it will soon. A robin's throat trembling in a rock song - really? Fer chrissakes, robins don't even make it into popular songs anymore, no less with beating wings and certainly not with throats a-tremble. Ok, at "happy hooded bluebells" I'm taking off my clothes and lying down. Followed by "bend their heads all a-down / Heavied by the early morning dew" - damn, you get the idea. This is deepish lingo for pop, be it stretched syntax or no. This is one song written by someone who has got you on the ground and is not letting you up. This chorus is a beauty and serves its function well, particularly when it rolls round again with the songwriter's stock in-trade of minor variances to keep the listener attentive and in this case, which is rare in rock indeed, the changes actually further the understanding and add depth to the meaning. 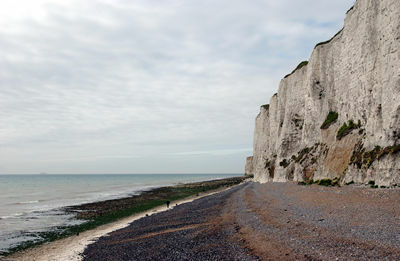 Cave has centered all the imagery around the natural world, as one still occasionally finds in some modern Indian Bollywood songs. He has taken it back to basics, grounding us in the real, leading us away from the morass of modern mind. 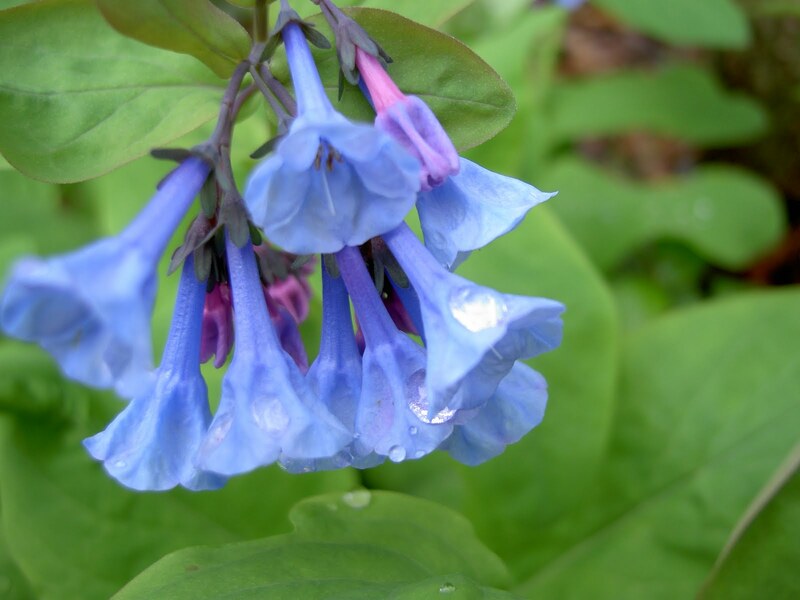 Gambolling, juddering, happy hooded bluebells, anything bowed by morning dew, fish leaping out of a brook to take a look - take all these elements and, go ahead, write a pop song. Go on. I dare ya. More likely, you'll write a poem. Here's the song in its entirety. Don't be put off musically by the opening, which seems to be an odd amalgam of slightly off-key recorder and flute. It called to mind for me a sound similar to gagaku, a type of Japanese court music. Whatever it is, and whatever the intent, by the time it returns at the end, you've forgotten how it began, particularly if you are as stunned as I was at what came between. This brief interlude was brought to you by the fact that I am diligently working on a review of a recent edition of Modern Haiku, which I hope to post next Friday. I was overwhelmed by this song while walking into work yesterday - I played it over a dozen times in a row - and since I knew, literary as it is in tone, it would never fit into the requirements of the Sunday Service, I decided to share it today instead. Here are two poems from Lilliput Review #116, March 2001, both brief, both powerful in their own ways. Enjoy. Unless they fly they cannot sing. What better way to start the New Year than with a trip to the Underworld? If ever there was a patron saint of poetry (as well as music), Orpheus is certainly a leading candidate. Though the reference to Orpheus in T. Rex's glam tune "Dandy of the Underworld" isn't overt - there are some who believe that it is after the Tennessee Williams play, Orpheus Descending - the reference to the Oz books of L. Frank Baum is, so it makes it onto the ongoing Litrock list. As to the above portrait, well there's lots that could be said. 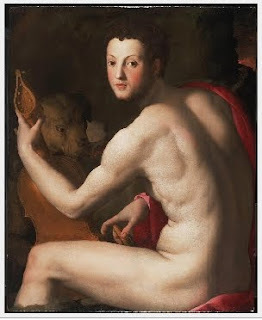 It is a portrait of Cosimo de'Medici as Orpheus by the Italian artist Agnolo Bronzino. It resides in the Philadelphia Museum of Art and here's what they have to say. Orpheus taming Cereberus on his way to rescue Eurydice, eh? In celebration of a new ongoing era of peace and in the romantic spirit of a new marriage, you say? Is that the bow of your lyre in your right hand, or are you just happy to see me, darling Orphée? No, wait, do lyres even have bows? Not a liar, er, lyre, you say - a viola, perhaps, because, oops, it's too large for a violin and, oops, too small for a cello. Somebody, help me out I'm lost in the underworld of my crass ignorance. In any case, there are innumerable references to Orpheus in poetry, way too many to recount. There's a list someone ought to compile. Of course, Rainer Maria Rilke's Sonnets to Orpheus is one of finest and most famous. 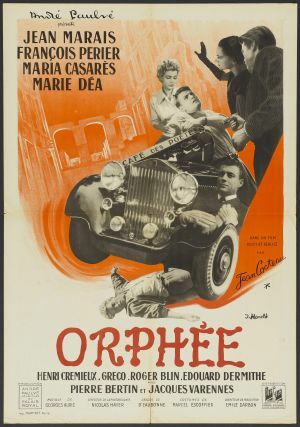 My favorite treatment is in film rather than verse because I am a stoned child of the 60s: Jean Cocteau's Orphée. Here is the scene when Orphée is led into the underworld through a mirror. Pre-digital, no doubt, but ingenious, lyrical, and mythic all at once, which is about as good a summary of the work of Cocteau as one might get. This week's feature poem comes from Lilliput Review #129, March 2003, and has a touch of myth to it; more precisely, it provides instructions on how to make myth real. Go ahead, give it a try. Japanese maples of fire red. No eucalyptus or Japanese maple, you say? Lilac and ailanthus will do. I never like to let New Years Day go by, though I often do, without celebrating the birthday of Country Joe McDonald. The above is a video with all the glories and all the faults of that briefest of windows in our culture and musical history - flower power, baby! The song, "Not So Sweet Lorraine," is a subtle send up of the classic jazz/blues tune of similar title, and the Fish song was an early selection on Issa's Sunday Service. Barry Melton's smoking lead guitar is a joy to listen to, and in this case, behold.